It’s easy to overlook preparing your home for winter – but it can cost you in high energy bills, equipment malfunctions, home pest issues and more. If you are looking for a reprieve in your energy bills, don’t expect one this year. In mid October, the Energy Information Administration predicted natural gas users will see a 22% climb in their heating bills this year over the 2015-2016 heating season. If you’ve been thinking of improving your home’s energy efficiency, now is the time. Here are steps to take today to get your home ready for winter. Air sealing is one of the least expensive and most effective ways to reduce energy loss and keep energy bills lower during winter. A leaky home can waste approximately 10 to 15 percent of a home’s heating dollars. Air leaks are found around doors and windows, penetration points in the attics (can lights, chimney chases, etc.). Many of today’s homes are under insulated when compared to today’s building codes. After sealing air leaks, adding a layer of blown-in fiberglass insulation to your attic space can further reduce your energy bills and help keep your home comfortable. Crawl spaces can cause a variety of headaches for homeowners. Because they crawl spaces have direct contact with the earth, they become damp. This is a great breeding ground for mold and mildew, and provides an ideal living space for pests. 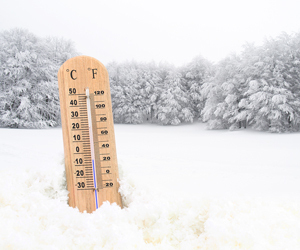 Now is the time to schedule your routine inspection of your home’s heating system. By confirming it’s in good working order, you’ll know it’s working as efficiently as possible – and you’ll help avoid a mid-winter break down. And don’t forget to change your air filter! Changing it often throughout the year can help your system run more efficiently – and help reduce dust in your home. Take a quick inventory of the bulbs throughout your home. Upgrading to LED bulbs can reduce your energy bills, especially during winter’s shorter days and lights are on more than any other time of year. The investment in LED bulbs will pay off quickly! Interested in air sealing, upgrading your insulation or sealing your crawl space? Contact us to schedule your free estimate!